Northeast based contractor Pyeroy Ltd has been fined £130,000 after an employee using a mobile elevating work platform was trapped between a roof beam and the machine’s control panel. 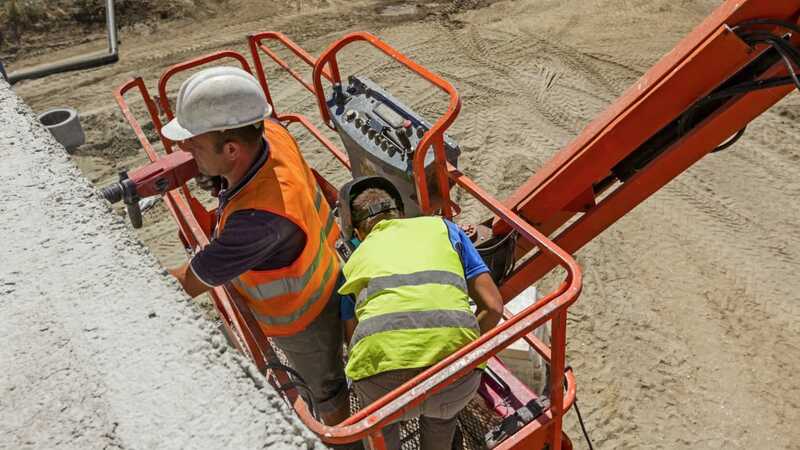 While crushing incidents have become widely recognised as a key risk when using mobile elevating work platforms (MEWPs), manufacturers have only recently begun to design in feature to prevent such incidents happening. Magistrates decided that Pyeroy was at fault for not having systems in place to rescue the man quickly enough. The Plymouth Magistrates Court heard that on 21st October 2013 Keith Stevens, aged 57, was helping to dismantle temporary roofing at Devonport Naval Base using a mobile elevated work platform (MEWP). His colleagues found him trapped between a roof beam and the controls of the MEWP. There was a delay in Mr Stevens being lowered to ground. Mr Stevens died of a pre-existing heart condition. An investigation by the Health & Safety Executive (HSE) found that Pyeroy had not properly planned the work on a MEWP in restricted overhead areas. It was also found that other Pyeroy employees had not received suitable training in the emergency lowering procedure of the elevated platforms and no practice drills had been carried out.